Announcement Welcome to Paper Thin Personas on Etsy! Feel free to convo me with any questions or visit my blog at paperthinpersonas.com for more paper doll fun! Welcome to Paper Thin Personas on Etsy! Feel free to convo me with any questions or visit my blog at paperthinpersonas.com for more paper doll fun! Cute!!! Adorable!!! I love it! 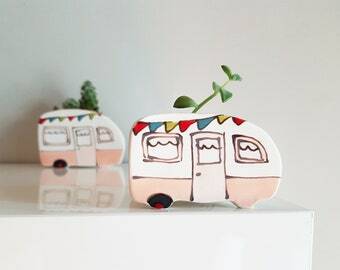 I've been a visitor to the Paper Thin Personas website for years now, and I'm happy to support the artist here on etsy. The dolls and fashions are always high-quality and absolutely beautiful. All my paper dolls begin in my sketchbook. Before I post listings, there's always a play test phase when I get to cut them out and make sure they fit. For my more complex patterns, I create them in pieces and then put them together in Photoshop. Paper dolls on display! There are 6 different skin tones for the Mix & Match ladies. I create the sorts of paper dolls I craved as a child. Back then, I got super frustrated when my favorite doll was in the wrong pose to wear my favorite outfit in the paper doll set. I designed my paper dolls to help solve that problem. I mean, I could have tackled world hunger or something, but paper dolls seemed a lot more fun and doable. 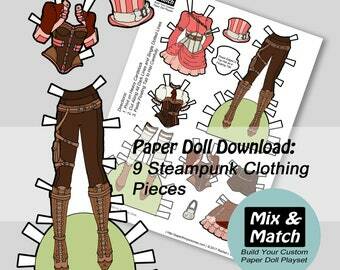 I also wanted paper dolls that could be printed over and over again. So what if you colored something and didn't like it or spilled some milk? Another paper doll could be made. More then that, I believe that paper dolls empower the creation of unique stories. I have drawn many paper doll designs, but the best paper doll clothing is the clothing a child creates themselves. Maybe? It really just depends on the project and my schedule. Sometimes I can totally do it and sometimes I just can't, but shoot me a message or email (paperthinpersonas@gmail.com) and I would love to discuss what you're looking for.